Hey everyone! Jeff Greiner, Tracy Hurley, and Sam Dillon had me back on The Tome Show to review some Planescape PDFs currently available on dndclassics.com. I’m not going to link the adventures here, because I want you to use the affiliate link I posted about on through The Tome Show’s website (it helps support the show). Also in this podcast is an interview with Monte Cook himself!!! Last week, I wrote about stealing races from other settings and bringing them into your world. Along those lines, I want to give you a peek at my way of bringing one of my favorite races into the game – the aasimar. I know there are loads of tiefling fans out there. Who could blame you? Tieflings have a very compelling story. I do find it strange, however that tieflings are going to be in the core of fifth edition in the Player’s Handbook, while the aasimar is overlooked. Here’s some proof via Wizards of the Coast tweet. See? There is a tiefling entry and not an aasimar entry. Aasimar is the natural opposite of the tiefling – humanoids infused with celestial blood as opposed to the tiefling’s infernal heritage. At first blush, I can see an argument being made for aasimar having a less compelling story than tieflings. They don’t have dark temptations and are just boring goody two-shoes (and that’s ok if that’s what you want to play). But I think aasimar can be different than they are in all of their various incarnations. Just like many of the races in Exploration Age, I’ve tweaked their story to fit the setting. If you don’t know a lot about the previous publication history of aasimar I’ll give you the bullet points here. For more information you check check out Wikipedia. Here’s the basic overview. Aasimar were introduced in the second edition Planescape Monstrous Compendium Appendix II as monsters and then as a PC race in the Planewalker’s Handbook. In this setting they are a race of (usually) good aligned humanoids with celestial heritage. Aasimar were in third edition from the start in the Monster Manual. 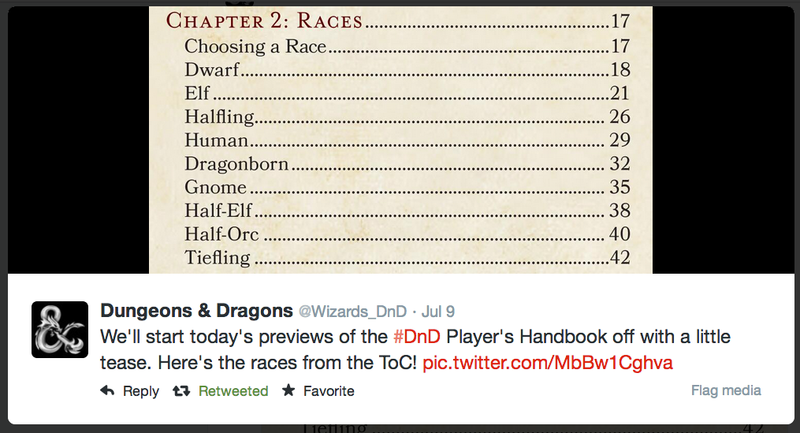 They became a PC race when the Forgotten Realms Campaign Setting was released. Their story and background did not change so much from second edition. In fourth edition there were no aasimar, but we did get devas. Instead of having celestial lineages, devas were immortal beings who lived a series of mortal lives. Devas would be reborn after death. If they lived a cruel and evil life, they might return as a rakshasa rather than a deva. Their story is quite different from the aasimar of previous editions. I really love devas. Their story can create some very intriguing characters who have lived multiple lives. That’s pretty awesome! I also love the aasimar. Their story reminds me of the heroes of Ancient Greece, like Perseus, Aeneas, and Hercules. Those heroes were mortals with a touch of divinity in their blood. I’m not of the mind one needs to go so another can stay. I have room for both devas and aasimar in Exploration Age (and my heart). 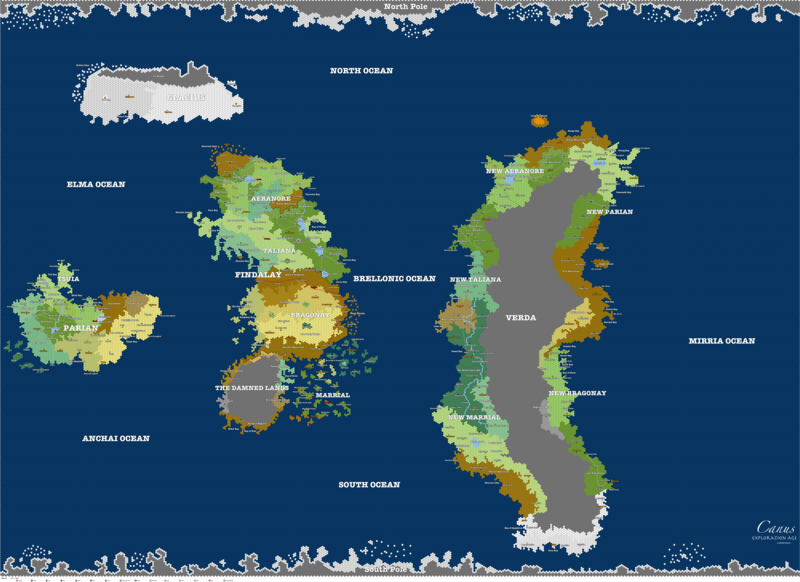 This post will be mainly about the aasimar, but if you’re looking for some information as to how the deva fit into Exploration Age, check out this post I wrote about Exploration Age’s multiverse and read all about Biatopia and the eternal war between the rakshasa and deva. That is a huge sword. HUGE. On the plane of Angelia celestial beings have watched the multiverse for as long as any can remember. Ever vigilant, these angelic beings are unconcerned with all but the greatest of evils. As these beings watched the planes, a few of the celestials, known now as The Yearning Hearts, fell in love from afar with humans on the Material Plane. While this was not strictly forbidden in Angelia, taking a mortal lover was certainly taboo. However, The Yearning Hearts were too in love to worry about the other celestials might think. They took their mortal lovers away from the Material Plane and brought them to Angelia. It was not long before The Yearning Hearts and humans started families. Their children were the first aasimar. After a time the mortals died and it seemed that the aasimar too had finite lifespans. The Yearning Hearts cared for the aasimar as their children, but the other celestials would not let the aasimar into their day-to-day lives. Aasimar could not take up the watching and guarding of the multiverse, for while they were usually good-hearted and kind, aasimar were also corruptible, like their mortal parents. So they were confined to a single city in Angelia and told by the celestials never to leave its walls. For millennia the aasimar lived in an isolated city of crystal atop a cloud. For this reason, they named their city Crystalis. It was ruled by a mayor and six council members, elected for decade-long terms. The aasimar were as prosperous as an isolated city can be. They learned to craft weapons and armor out of rare starmetal, which were sold to the rare visiting celestial being. Other aasimar took to practicing various art forms with all of their free time. They became a race of master craftsmen and performers. As large and beautiful as Crystalis was, many of its inhabitants saw it as a prison. The aasimar became frustrated, feeling their existence was pointless and some despaired. Others were driven to fits of rage or simply gave into violent impulses as a sick way to entertain themselves. The mayor and council at the time appealed to The Yearning Hearts. The aasimar no longer wished to stay in Angelia for their own health and sanity. The Yearning Hearts were devastated that their children had come to this. In a ritual fueled by The Yearning Heart’s sacrifice they opened an enormous, temporary portal to the Material Plane. Crystalis floated upon its cloud into the world of Canus, just over Aeranore. At first the folk of Aeranore thought they were being invaded. The aasimar were mostly happy to be in their new world, so they made offerings of peace to the Aeranorians – gifts of celestial weapons and armor for the royal court. 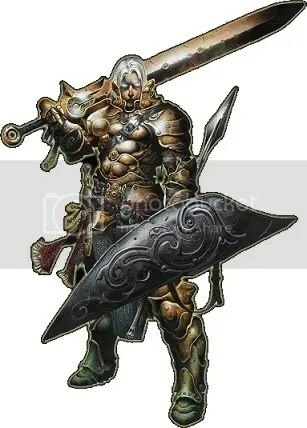 As the Talianans, Bragonians, and Marrialans learned of Crystalis and the love between the Aeranorians and the aasimar, many feared Aeranore had well-equipped allies who might pose a threat. Not wishing to cause trouble for the Aeranorians, the floating city of Crystalis now spends its days doing a slow, but constant loop around Findalay. The city can only float over land, but it cannot not cross over the ocean so it is confined to the continent. Crystalis merchants sell their wares to the various Findalayans whom they see on their circuit. Starmetal is more difficult to come by these days, but the aasimar are still master crafters. Today, Crystalis continues to do its slow rotation around Findalay. One full rotation takes the city about a year, so the people of Findalay know when the floating city will come to their neck of the woods. Crystalis stops near major cities and airships carry passengers to the gates. The merchants of Crystalis sell their wares to the Findalayans while street performers put on shows. At night, one can find something to eat in one of the city’s many restaurants and then see a show in one of its theaters. After a week or so, Crystalis moves on to the next Findalayan city. Anyone is welcome within the gates of Crystalis and the city is always accepting new permanent residents. Despite these open policies, most of the population of Crystalis is still aasimar. Many Findalayans do not wish to live a nomadic life of travel. For that matter, some aasimar are tired of it. Aasimar are not required to stay within their city walls, and so many leave and seek adventure out in the world. Other aasimar want to stay in Crystalis, but wish the city wouldn’t move around between nations. Though they may not all go public with their opinions, most assimar have a desire to ally themselves with one of the Findalayan nations. These desires have led to heated debates amongst the planetouched. The forthcoming council elections may spell big change for Crystalis. On the other hand, there is a faction of aasimar who want nothing to do with any of the Findalayan nations’ petty squabbles and believe Angelia is their one and only home to which they must return with all haste. With so many factions, the city is almost at a breaking point. Each of these factions has taken a simple name to identify themselves, known as the Friends of . So those aasimar who sympathize with Bragonians are the Friends of Bragonay, those who wish to return to Angelia are the Friends of Angelia, and so on. Each faction has candidates in the upcoming elections. There is another, darker faction of aasimar. Those planetouched who believe their existence is born of a tainted celestial bloodline. These aasimar belong to a secret society – The Holy Cleansers. They have one goal – end all aasimar life. It is said that once they have extinguished all aasimar but themselves from the world, members of The Holy Cleansers will then take their own lives. Little else is known about this secret cabal, but they seem to be planning something big. Aasimar are good folk who have seen much of the world, but not experienced it. Some might see them as naive and inexperienced, for they are trusting and believe in the good of people, but aasimar do not suffer the wrath and hate of others. They become impassioned about their causes. Often aasimar dedicate themselves to righting the wrongs of others, even when it is not always their place to do so. The gray issues of Canus seem more black and white to them, which means they come down on one side of the issue with almost blind loyalty and fight for it to the end. Some of the most emotional arguments ever witnessed happen when two aasimar disagree. Aasimars who leave Crystalis might do so for a myriad of reasons. They might have a passionate viewpoint they intend to bring to the world, they may have fallen in love with someone who lives outside the city gates, they might feel more allied with a government other than their own, or perhaps they just have an intense desire to see more of the world. Most Findalayans have seen aasimar before and treat them as a passing curiosity. In Verda and Parian, aasimar are more rare and might be met with stares, probing questions, and even fear. Aasimar do not have a religion of their own, but often invoke spirits of their ancestors and The Yearning Hearts when seeking guidance and in times of trouble. An aasimar adventurer might be a paladin ridding the world of whatever he or she deems to be evil, a cleric recently converted to a different religion, a wise druid hermit who trusts plants and animals more than the fickle people of the world, or anything you dream. Thanks to a recent tiefling preview tweeted out by Wizards of the Coast and some old SRDs, I was able to create some game stats for aasimar PCs. These are the stats I’ll be offering my players for my fifth edition games until official statistics are released. Feel free to use them in your game as well! Aasimar share certain traits as a result of their celestial descent. Ability Score Increase. Your Wisdom score increases by 2, and your Charisma score increases by 1. Age. Aasimar mature at the same rate as humans, but live a few years longer. Alignment. Aasimar have an innate tendency toward good, but those who have suffered hardships in life can be steered toward evil. Their hearts tend to stay true to the causes in which they believe and good or not, aasimar often to hold themselves to individual codes so they tend toward lawful alignments. Size. Aasimar are the same size and build as humans. Your size is Medium. Darkvision. Thanks to your celestial heritage, you have superior vision in dark and dim conditions. You can see in dim light within 60 feet of you as if it were bright light, and in darkness as if it were dim light. You can’t discern color in darkness, only shades of gray. Celestial Resistances. You have resistance to cold, lightning, and radiant damage. Celestial Legacy. You know the thaumaturgy cantrip. Once you reach 3rd level, you can cast the cure wounds spell once per day as a 2nd-level spell. 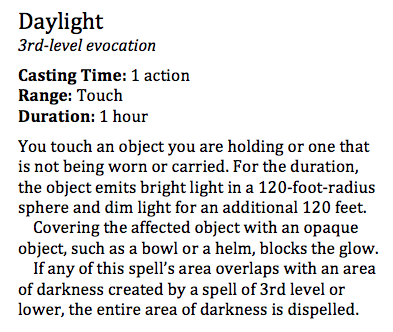 Once you reach 5th level, you can cast they daylight spell once per day. Wisdom is your spellcasting ability for these spells. You may need this one since it isn’t in the Basic D&D pdf. Round Table Podcast 5 is up! The next Round Table podcast is up on The Tome Show. In this podcast, Rudy, Alex, Vegas, and I discuss the Tyranny of Dragons announcement, magic items, and healing in D&D Next. 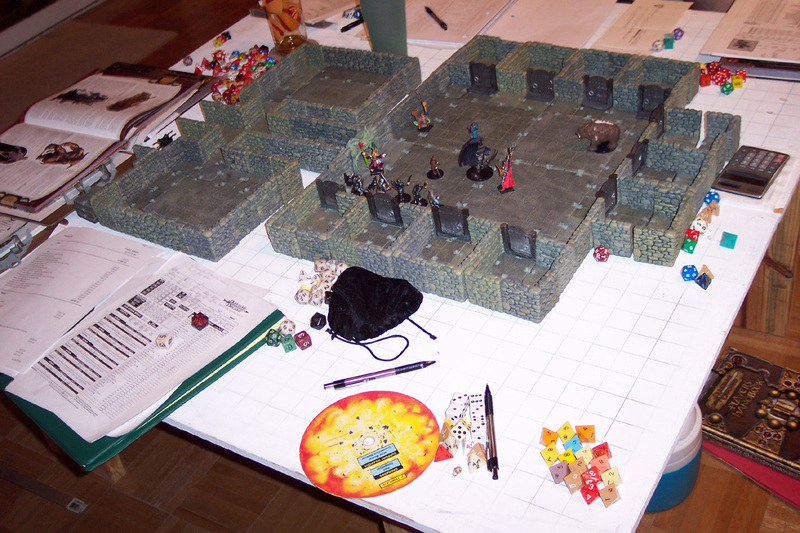 The Round Table comes out pretty regularly on Fridays during the month and has players of various backgrounds discussing the latest D&D news. If you like it, you should check out all the other great content on The Tome Show. As always you can reach me by leaving a comment or following me on Twitter.